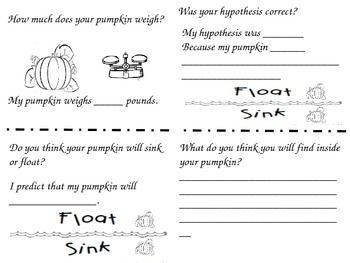 This 7 page booklet covers the science investigation of a pumpkin. 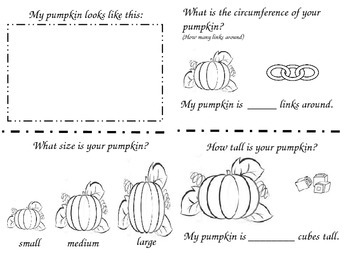 I will take the students on a step by step journey of investigating a pumpkin from the outside of a pumpkin to the inside of a pumpkin. 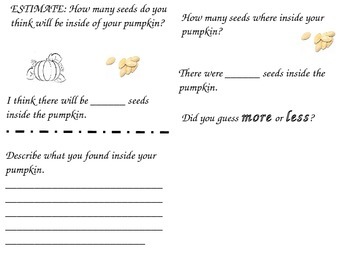 Includes: how a pumpkin looks, size, circumference, height, weight, sink/float, to predicting how many seed will be inside the pumpkin. 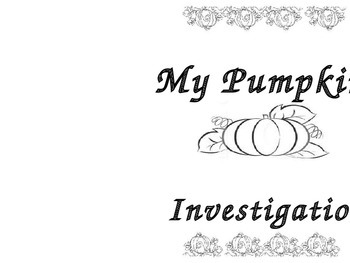 Great pumpkin investigation unit.